Parmigiani Fleurier is not very old Swiss company, specializing in the production of elegant and complicated wrist watches. Parmigiani Fleurier company, located in the city of Fleurier in the Swiss Alps is engaged in a total cycle watch production, covering all aspects of Horology. The company is independent of external suppliers. Parmigiani Fleurier watch company, together with famous brands such as Chopard, Bovet and Vaucher Manufacture Fleure, located in the neighborhood, established the watch manufacturers community, known as Fondation Qualite Fleurier. The community strictly adheres to the Swiss watchmaking traditions. 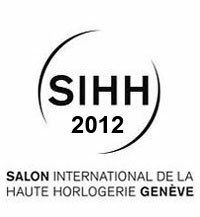 In addition, these famous watch brands developed the aesthetic and technical criteria, dedicated to the certification of finished watches (la haute horlogerie sertifiee), contributing to the improvement of the technical and aesthetic characteristics of watches. Michel Parmigiani, a founder of Parmigiani Fleurier company, was born in 1950 in the Swiss town of Kuva. In the early childhood he spent much time among the watchmakers. Having learned the watchmaking art, he set to repairing and restoring the antique watches. Thus, he became familiar with the 450-year old watchmaking history and the art of watch production. In 1975, he founded his own Rarmigiani Mesure et Art du Temps SA (PMAT) company, specializing in the restoration of the old watches. In the early 90s, Michel Parmigiani collaborated with the Sandoz Family Foundation, the aim of which was to encourage the entrepreneurs in various industries, to support the innovations and to develop the Swiss business traditions. Thanks to this collaboration, Parmigiani company was gradually obtaining all modern necessary equipment. 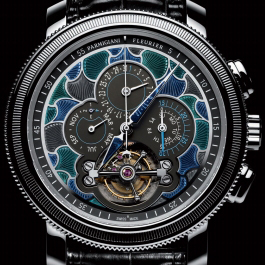 In 1996, under the auspices of Sandoz Family Foundation, that had bought 51% of Parmigiani Mesure et Art du Temps SA shares, Parmigiani Fleurier watch brand was founded. 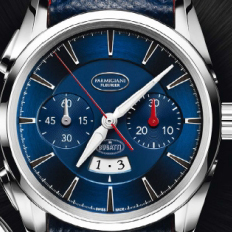 Michel Parmigiani was appointed the president and the chief master of a new watch company. In 2000, the partners purchased three Swiss companies. AtoKalpa SA company, located in the town of Alla, manufactures axles, wheels and microcomponents. Bruno Affolter company in La Chaux-de-Fonds, produces watch cases, dials and other watch elements. Elwin SA company, located in Moutiers, is engaged in the production of small metal parts and tools for the needs of Parmigiani Fleurier factory. Due to such an arrangement of watch production, Parmigiani watch empire is considered to be an independent company. Parmigiani Fleurier has three areas of activity: the restoration, the production of its own models, the development of new watch movements. The development of the watch movements is carried out by Vaucher Manufacture, that is Parmegiani Fleurier's offsprings. Parmigiani Fleurier cooperates with other famous companies, and it results in the creation of new watch collections. Kalpa Hemisheres watch is the result of the collaboration with Bernard Stramm, the famous explorer and sailor. The series of sports men's and women's watches were produced in the cooperation with Pershing company, owned by Ferretti Group, producing luxury yachts. The latest Pershing sports watches are equipped with 30-second tourbillon and characterized by the 8-day power reserve. Since 2001, Parmegiani company has been cooperating with Bugatti company, the main result is Bugatti Type 370 watch with an unusual design. The case is made in the form of tube, and the dial is placed on the lower side of the case. Bugatti watch movement is placed in a vertical position. Every year since 2006, these watches have been released in the limited edition of 50 pieces. For example, Bugatti Faubourg Tipe 370 watches, made of rose gold were released in the limited edition of 50 pieces. Parmigiani company has agreed to produce 200 pieces of Bugatti Type 370 watches and stop the production of this model. In honor of the centennial of Bugatti, the company will release two unique Bugatti Type 370 wrist watches, the cases of which will be entirely engraved. One model will be made of platinum, and the other – of rose gold. Both of these models have already been sold. The company management considers, that it will be fair to the collectors, who have bought the Bugatti Type 370 watch before. Besides men's watches, the collection includes women's jewel watches. Parmigani Fleurier watch brand in the cooperation with Bugatti is developing a model, equipped with the in-house manual wound caliber PF 510, characterized by the seven-day power reserve and 30-second tourbillon. That is Parmigiani Bugatti Tourbillon wrist watch for Bugatti 16C Glibier car. Tondagraph watch, made of white gold and equipped with caliber PF 354, is characterized by a chronograph function and tourbillon. This hand-made model has been released in the limited edition of 30 pieces. The watch cases are made of various materials, such as rose and white gold, platinum, palladium. The watch movements are also different: automatic, manual wound, quartz. The straps are produced either from crocodile leather or steel. The dial and case may be set with diamonds. 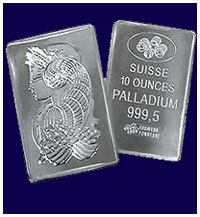 Any Parmigiani Fleurier customer is given a certificate in the form of a credit card with the Bubble Tag and ID number. By imputing the ID on the company website, you can see a unique image of Babble Tag for the particular model. Bubble Tag is the latest technology, developed by Prooftag company. It is made of a translucent polymer inside which, as a result of random phenomenon, self-generated bubbles appear. Two identical bubbles posses the ability to generate, that is 1/10 to 160 degrees. This constellation of bubbles forms the basis of the identity given to a watch, that's why such a watch is unique and impossible to replicate. Parmigiani Fleurier company manufactures wrist watches of the highest quality with the original and harmonious design, equipped with in-house movements. Parmigiani collections are very diverse, but still these watches are the elite piece-goods, that can be afforded only by few persons. 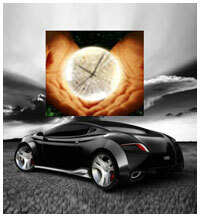 - NOVELTIE (Bugatti Atalante Ladies, Bugatti Atalante Men, Kalparisma, Pershing002, Pershing Tourbilon, Tondagraph). - LADIES (Retrograde Perpetual Calendar, Tourbillon, Jewellery). - MEN (Chronograph, Retrograde Perpetual Calendar, Tourbillon, Bugatti Type 370, Jewellery, Grand Comlications, Limited Editions, Unique Timepieces). 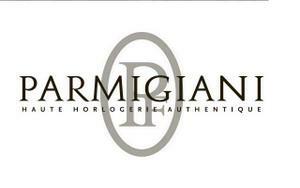 You can buy Parmigiani Fleurier wrist watch from the company official distributors all around the world.